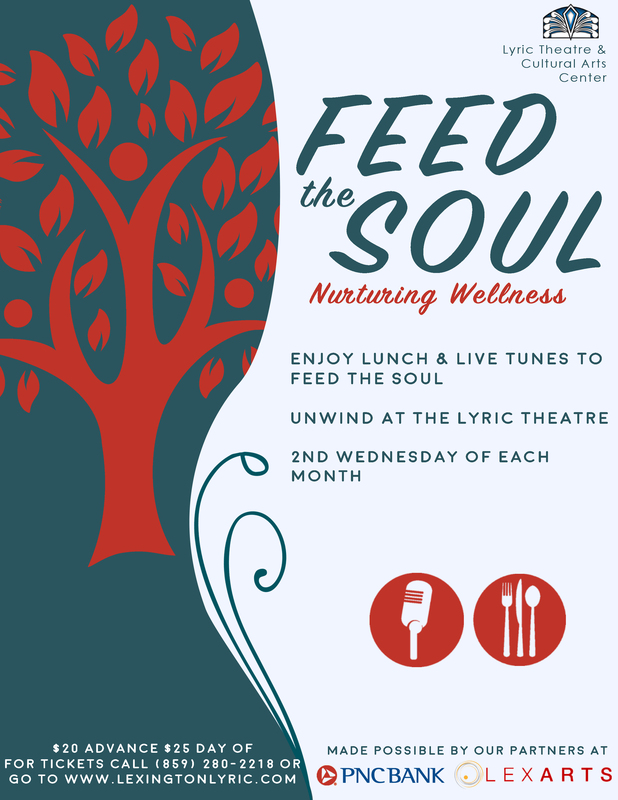 The Lyric Theatre is excited to kick off our lunch & concert series, Feed the Soul, starting on Wednesday, March 14 at 11:30 am and continuing the 2nd Wednesday of each month. This series is made possible in part by the generous support of PNC Bank and LexArts, a proud Lyric sponsor. Feed the Soul will feature buffet style food with delicious options varying each date, and guests will enjoy a live concert by the most talented local musicians. Each month we will switch things up with a new musician, offering an enjoyable and unique experience each time. Please contact the Lyric Box Office at 859-280-2218 to purchase these packs or click here.